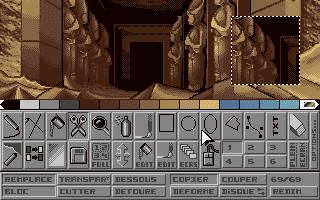 Synthetic Arts 3.0 is a pixel painter tool working in ST low resolution (320x200x16). 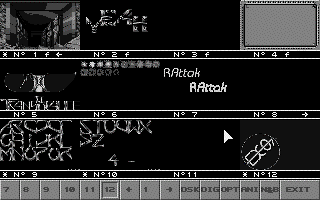 It also works on Falcon 030 & TT in low resolution. 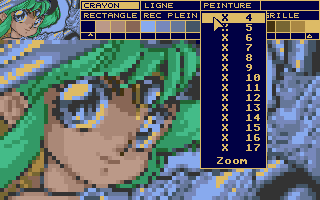 We decided to start developping Synthetic Arts 2 (16 colors) at the Forum Atari 90 (Paris - La Defense - CNIT). 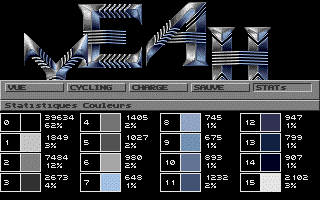 Then follow 2.01 (english / french ressources choice), 2.02, 2.025 (fullscreen view system - this version was distributed on ST Mag cover disk), 2.026, 2.4 (this is the last version working on 512 Ko machines). Versions 2.x do not work on Falcon 030 / TT. 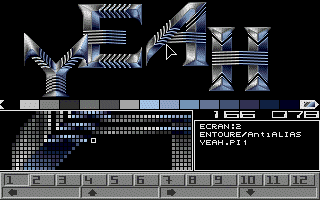 3.0 version issued on may 1993 with many major enhancements. 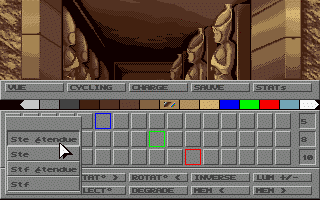 This version has been distributed on Start Micro cover disk. 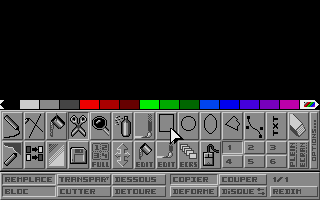 The v3 user guide was only available in french paper version for 90 francs.